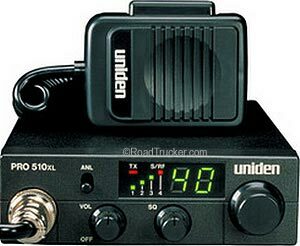 The PRO-510XL CB radio from Uniden has an Automatic Noise Limiter and Squelch control to reduce background noise from the car engine and other sources. The radio is an ultra-compact unit for easy mobility and also has a channel indicator that displays the channel currently in use. Standard 4-pin microphone input is positioned on the front for convenience.